Flexibility is the key to the design of this home. 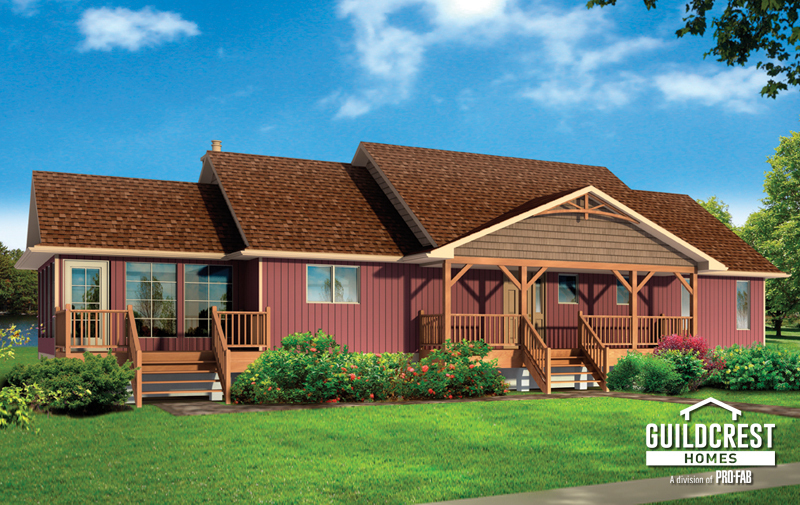 Attractive and functional from both the lake and roadside approaches, this model offers two or three bedroom options. 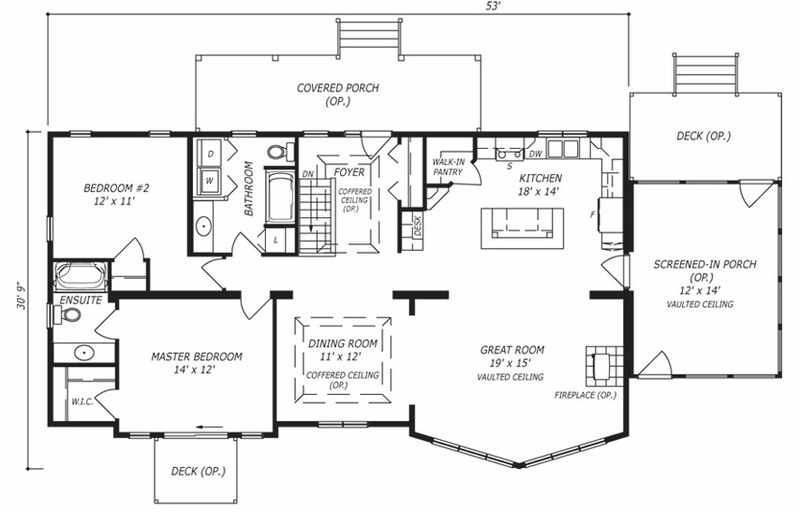 The two-bedroom model can be easily adapted to accept a screened-in porch or garage and its kitchen features a convenient desk with wine racks above and a walk-in pantry. 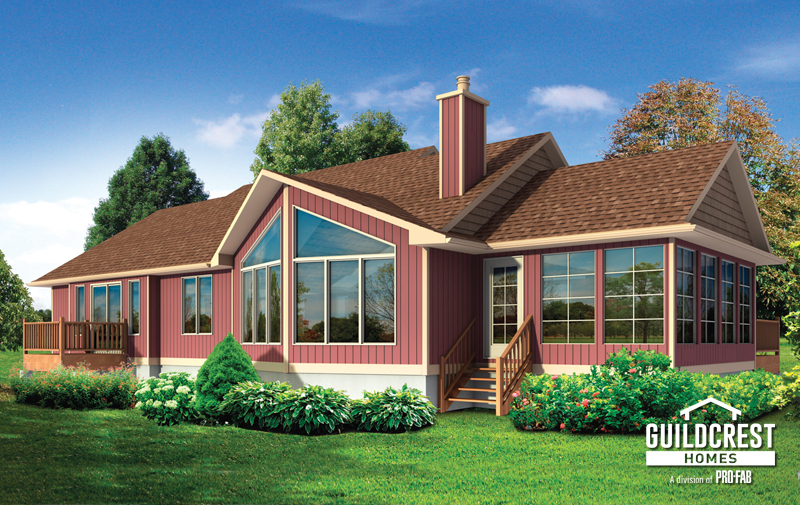 The three-bedroom model features a generous ensuite bathroom and a walk-in closet. Either way, a large sit-down island, spacious great room and dining room provide endless options for entertainment and enjoyment of this beautiful space. If your property allows it, a basement walk-out works well as illustrated on our Trailhead and Muskoka models.